Great news for everyone who will be coming to stay with us at The Passing Place, or in the Carbost area in general. 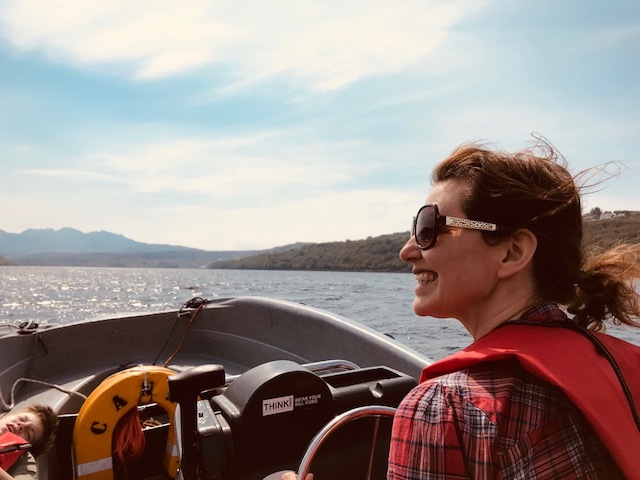 Isle of Skye Boat Hire has opened for business from right off the pier in Carbost, and just over the road from Talisker Distillery. Essentially, you can now hire (by the hour and for up to a full day), and pilot your own outboard boat on Loch Harport. Speaking from first-hand experience, it’s an idyllic way to spend a spring, or very soon summer’s day, with views out to the Black Cuillin and an abundance of wildlife about, on and in the water – a nesting pair of Golden Eagles on the high ground bordering the loch, a richness of seabird and the possibility of porpoise, dolphin and, as the day before, a Minke Whale.